Marguerite Nadeau, a resident of Ottawa, Ontario, was appointed as Chairperson of the Board of Directors of CATSA for a term of five years in 2017. Ms. Nadeau holds a Bachelor of Laws (LL.L) and has completed the Directors Education Program at the Rotman School of Management. She was Vice President, General Counsel and Corporate Secretary at the Royal Canadian Mint from 2004 to 2014. Ms. Nadeau has extensive experience as a Senior Executive in the areas of law, governance, strategic planning, human resources, and security. She is a member of the Board of the Sandy Hill Community Health Centre as well as the Board of Directors of the Centre d’exposition l’Imagier, a contemporary art gallery in Aylmer. Ms. Nadeau was a trustee on the Board of the Sisters of Charity of Ottawa Health Services, an organization that champions well-being for aging Canadians and those requiring continuing care. She also chaired the Board of Directors for Joan of Arc Academy, a private bilingual school for girls in Ottawa. Ms. Nadeau was appointed Queen’s Counsel in 1990 and practiced law for 37 years. Mr. Rowe holds a Bachelor of Commerce Degree from Dalhousie University, Nova Scotia and a Masters Degree in Business Administration from the University of Western Ontario. He served as the Chief Financial Officer of Chorus Aviation Inc. from 2004 to 2011. Prior to this, Mr. Rowe served as the Chief Financial Officer of Fishery Products International Limited, and in various senior financial executive roles with the Empire Company Limited. Mr. Rowe has significant experience with mergers and acquisitions, corporate finance, planning and business development, business turnaround and management of organizational and cultural change. Mr. Rowe has been appointed to CATSA’s Board of Directors as a nominee of the National Airlines Council of Canada (NACC). Ms. Coulson is a Chartered Professional Accountant, Chartered Accountant and Licensed Public Accountant with more than 15 years of experience in public accounting and management finance. She graduated from Laurentian University with an Honours Bachelor of Commerce and trained for her designation with Ernst & Young, LLP in Toronto, where she became an audit manager prior to establishing her own full-range accounting firm. 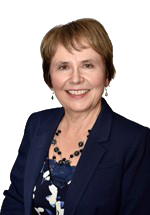 Ms. Coulson has been president, past president and treasurer of the Milton Chamber of Commerce and treasurer of the United Way of Milton. 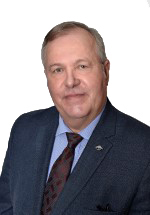 Mr. Restall has more than 34 years in the airport operations industry, most recently from 1999-2013 as President and CEO for the Saskatoon Airport Authority. He was actively involved in the successful transfer and privatization of the Airport. Prior to this, he had a 25-year career with Transport Canada, holding progressively more senior positions in airport operations. He is one of the first Canadians to earn the designation of an Accredited Airport Executive. He holds a Bachelor of Science from the University of Winnipeg and a Bachelor of Commerce (H) from the University of Manitoba. He has served on numerous Boards and Committees including most prominently with the Airports Council International – North America (ACI-NA), the Canadian Airports Council (CAC) and International Association of Airport Executives, among others. 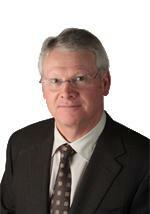 Mr. Restall has been appointed to CATSA’s Board of Directors as a nominee of the Canadian Airports Council (CAC). Ms. Kennedy has been the Chief Financial Officer of the Pacific Flying Club since 2013. Before that, she was their Chief Operating Officer beginning in 1991. She has been involved in several organizations such as the board of the Private Career Training Institutions Agency of BC (2012-2014), as well as the Audit Committee and the Board of Directors (1999-2001) of the BC Aviation Council, the steering committee for Human Resources Development Canada’s Sectoral Study on Pilot Training in Canada (1999-2003), and the Certified Management Accountants (CMA) strategic leadership program (2003-2015). From 1997 to 2009, she sat on the Board of Directors of the Air Transport Association of Canada. She was its chairperson from 2001 to 2002 and was awarded an honorary life member status in 2012. She also sat on the board of directors of the CMA of British Columbia from 2008 to 2014, where she was chairperson from 2012 to 2013. She holds a Bachelor of Arts from Queen’s University in Kingston, Ontario and is a FCPA, FCMA. Ms. Kennedy was awarded with a CMA fellowship in 2007 and an honorary CMA life member status in 2014. 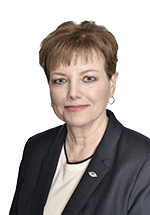 She has been appointed to CATSA’s board as a nominee of the Air Transport Association of Canada. Appointed to the board of CATSA in 2018, Taleeb Noormohamed is President and Chief Operating Officer of Casaza, a Vancouver and New York-based technology startup in the home space. He also serves on the Board of Directors of a number of technology startups and non-profit organizations. Mr. Noormohamed previously served as Chief Growth Officer of Farfetch.com, the world’s leading marketplace for luxury fashion and as Vice-President, Global Business Development at HomeAway.com prior to its acquisition by Expedia. He was also CEO of Serebra Learning Corporation, a Vancouver-based e-learning company and Vice-President, Strategy and Partnerships of the Vancouver 2010 Olympic and Paralympic Winter Games. Mr. Noormohamed has also worked in key positions within the Government of Canada; first at the Privy Council Office, then as the Director of the Review of the Bombing of Air India flight 182. In 2010, he was appointed to lead an Independent Review of the Province of British Columbia’s $3B technology procurements process by the provincial government. He completed his undergraduate education at Princeton University, and then attended Oxford University as a Commonwealth Scholar for his masters and doctoral studies. 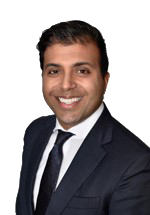 Mr. Noormohamed was named as one of Business in Vancouver’s Top Forty under 40 in 2011, and has been awarded the Governor General’s Caring Canadian Award, the Sovereign’s Medal for Volunteers and the Queen’s Diamond Jubilee Medal. A 25-year veteran in the high-tech and aerospace industries, Gilles Lalonde co-founded Provance Technologies Inc., in 1997. In addition to leading the executive team in strategic planning, Mr. Lalonde manages the company's corporate investor relations and all legal, financial and governmental affairs. Mr. Lalonde's experience has contributed to the development of Provance as an emerging leader in IT service management software. From 1990 to 1996, as principle partner of M.G. Lalonde and Associates Inc., he provided a variety of consulting services that included IT asset-management software implementation, support, training and courseware development. Previously, he held a number of senior management and operations positions in the aerospace industry. 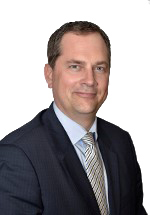 Mr. Lalonde serves on the boards of a number of private companies as well as several non-profit organizations. He recently completed a nine-year term on the board of the Ottawa International Airport Authority, three years of which he spent as chair. Mr. Lalonde has been involved with the Outaouais United Way fundraising campaign since 2000 and was named 2004 Campaign President. He was also named Business Leader of the Year in 2003 by the Regroupement des gens d'affaire (RGA) for the Ottawa National Capital Area, CBC/Le Droit Business Personality of the Year in 2004, and Personality of the Month in September 2004 by the Quebec Information Technology Federation. Mr. Lalonde studied business administration at the University of Ottawa, and participates in the Executive Education Program at Harvard Business School. Mr. Lalonde has held a commercial pilot's license for over 30 years and is a member of the AOPA and COPA Pilots Association and the Canadian Airborne Search and Rescue Association. Sharon Duggan, a resident of St. John’s, N.L., was appointed to the Board of Directors of CATSA for a term of four years in 2018. Ms. Duggan holds a Bachelor of Science in Computer Science and a Masters of Business Administration (MBA) from Memorial University of Newfoundland. She spent most of her career at Bell Aliant, where she held executive and senior management positions in varied areas including information technology, human resources and customer services. Prior to her retirement in 2008, she was the Vice-President, Customer Service Transformation with oversight responsibility for a $100M project to enhance customer service technology. She has extensive leadership experience in change management, strategic planning and human resource management. Ms. Duggan served on the Board of Directors of Marine Atlantic Inc., a federal Crown corporation, from 2013 to 2017. She was Chair of the Safety, Corporate Governance and Accountability Committee for most of that time. She was also a member of the HR and Pension Management Committee, and served as Acting Board Chair for eight months. She is a past member of Memorial University’s Board of Regents, a past Rotary Club President and has served on many charitable and non-profit boards, including United Way of Newfoundland and Labrador, Easter Seals NL, and Dr. H. Bliss Murphy Cancer Care Foundation. Jean-Philippe Brunet has served with Ocean Group since September 2011 as Executive Vice President, Corporate and Legal Affairs. Mr. Brunet, who received a law degree from the Université de Sherbrooke, is a lawyer and member of the Barreau du Québec since 1998. Until July 2011, he served for four years as Chief of Staff at the Ministère des Transports du Québec and for one year as the minister’s Chief of Staff at the Ministère du Travail, de l’Emploi et de la Solidarité sociale. Previously, Mr. Brunet held the position of Corporate Secretary of Kruger Inc. Company and its subsidiaries. Mr. Brunet holds the position of Chairman of the Board for the St. Lawrence Shipoperators, and same for the Eastern Canadian Tug Owners Association. He is also a member of several associations, including the St. Lawrence Economic Development Council and the Chamber of Marine Commerce. Ms. Trenn has 30 years of experience in the aviation industry, primarily in the area of airport operations. She began her journey in the industry with Transport Canada, where she held a position in financial administration and quickly moved to a position in airport operations thereby gaining experience in a broad range of areas. Her most recent position, prior to retirement, was as Vice President, Airport Operations, at Edmonton International Airport from 2006 to 2012. During her tenure with Edmonton International Airport, Diane managed the transition of the airport from Transport Canada to the Edmonton Regional Airports Authority. As part of her community outreach, Diane co-chaired Edmonton Salutes, an Edmonton City Council committee in support of the military, and chaired the Leduc Nisku Economic Development Association. She has been a member of the Transportation Committee of the Chamber of Commerce, the security committee of the Canadian Airports Council and working groups with CATSA. Ms. Trenn has been appointed to CATSA’s Board of Directors as a nominee of the Canadian Airports Council (CAC). Until recently, Penny J. Westman was Deputy General Counsel and Chief Counsel, Advisory Services Canada, for Manulife. She joined that company when it acquired Standard Life, where she was serving as Senior Vice-President, Legal and Compliance. Prior to that, she had a successful career in private practice and corporate law. 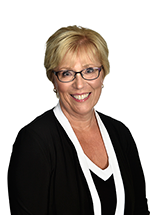 Penny obtained a Bachelor of Civil Law degree from Université de Montréal in 1976, as well as a nationally accredited Common Law equivalency certificate from the University of Ottawa in 1997. She obtained her license to practice in Québec from the Québec Bar Association in 1977. During her career with Standard Life she was a member of various Canadian Life and Health Insurance Association (CLHIA) committees, and participated in many of their conferences, including serving as Chair of the Executive and Nominating Committees of the Legal Section of the CLHIA. She has also served on the Board of Directors of the ALS Society of Québec.